Serviced Apartments To Rent in Hanoi - Wide ranges – 24/7 customer care – Free Wifi & Housekeepings – Book last minutes. Long term & Short term care. If you are looking for serviced apartments for lease in Hanoi, just send us your requirements and we will select and arrange the visit to your right home in the shortest time with reasonable price. Apartment for rent is located in Me Tri Ha street, in Tu Liem district. The rental apartment for rent comprised of a nice living room matching with a kitchen, a separate bedroom, a bathroom with bathtub. The building has elevator, motorbike parking. The rent is inclusive of internet wifi, cable TV, water, cleaning service. Modern serviced apartment is located in Hoang Cau street. This 70 square metters serviced apartment is comprised of 02 bedroom, 01 bathroom with bath-tub. The kitchen is equipped with microwave, electric stove, water kettle. A bright living room and small balcony in front, full glass window with sunlight coming through. The rent is inclusive of water, internet, cable tv, housekeeping services 3 times/ week. 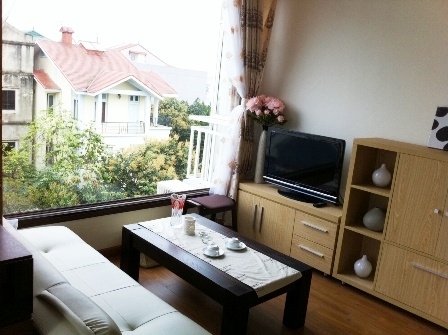 Beautiful furnished and serviced apartment, located in Cat Linh street,Dong Da district, Hanoi. 50 square metters apartment, composed of a good sized living room combined with dining room and a large balcony with out-door furniture, the apartment has a modern kitchen with a proper oven, big refrigerator, microwave oven, dish washer, kitchen utensils, washing machine and dryer, there are 01 bedroom and 01 bathroom, a bath-tub and walk-in showers, it has nice timber floor, modern furniture, well decorated, built-in storages, all the rooms have large windows, thus the whole apartment is very bright. Direct car access, fcing to the lake, near parks, mini-marts. Beautiful furnished and serviced apartment, located in Cat Linh street,Dong Da district, Hanoi. 70 square metters apartment, composed of a good sized living room combined with dining room and a large balcony with out-door furniture, the apartment has a modern kitchen with a proper oven, big refrigerator, microwave oven, dish washer, kitchen utensils, washing machine and dryer, there are 02 bedrooms and 02 bathrooms, a bath-tub and walk-in showers, it has nice timber floor, modern furniture, well decorated, built-in storages, all the rooms have large windows, thus the whole apartment is very bright. Direct car access, fcing to the lake, near parks, mini-marts. A large apartment for rent, Tay Ho street, Tay Ho district, with the total area of 170 sqm, composed of a big livingroom area, open kitchen, modern equipped, nice timber floor, 2 bedrooms with built-in storage, very bright, fantastic view. Beautiful apartment for rent on high floor in Dang Thai Mai street, Tay Ho district, Hanoi is available now. Total area is 100 sqm with 2 bedrooms, 2 bathrooms, a nice living room and a well equipped kitchen. The apartment is situated on high floor, the balcony overlooking the panorama of Westlake. A modern apartment on Hoang Hoa Tham Street, Tay Ho. The living area is 80 square metter, include a living room, a modern kitchen, the apartment has 02 bedrooms, 02 bathrooms, and fuly furnished, the living room has a large balcony over-looking to the lake. 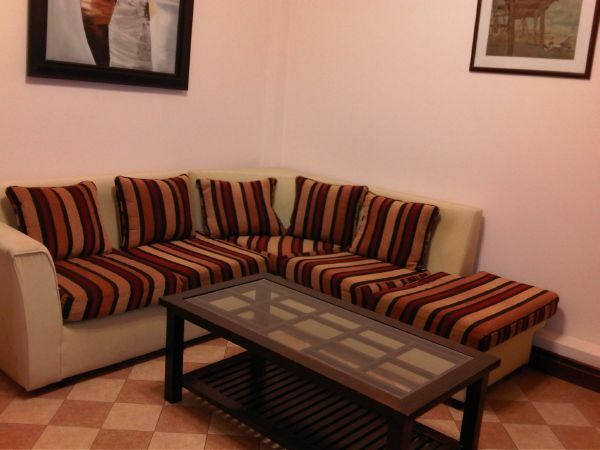 Very well furnished and serviced apartment for rent. The size of this apartment is 50 square metters, it has 01 bedrooms and 01 bathrooms with bath tub and walk-in shower, nice timber floor, built-in clotsets, beddings, Free services: 24hr security guard, lift, Internet wifi, TV cable, water, housekeeping services.